Wow… what an amazing adventure - is what we said to each other after arriving back in Melbourne. Imagine combining all of the best spots in Australia together onto this small picturesque island – This is what it was like! And even though I describe it as a small island, it is still twice the size of the Netherlands! One of our highlights was the lovely and peaceful Scamander Sanctuary Holiday Park, located on the Tasmanian highway between Bay Of Fires and Wineglass Bay. Upon arriving we received a very warm welcome from the General Manager, Louise. We were guided to our Bell-Tent which was to become our home for the next couple of days. Nothing was too much trouble for them, we were shown all amenities within the park and were advised that if we needed anything at all just to knock on her door!! Needless to say, we were made to feel right at home from the beginning. 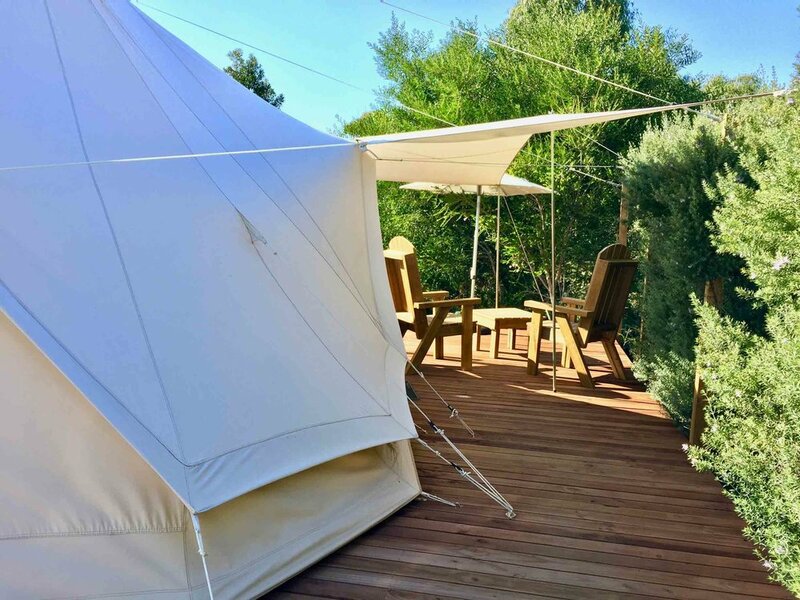 The tent was installed on a sturdy deck, surrounded by a few leafy trees and bushes to give us some privacy. The moment we pulled back the canvas door, we were so happily surprised by the inside of the tent - all the luxury and comfort you could only wish for was cleverly present; an espresso machine for that perfect cup of coffee in the morning, a kettle for the laid back cup of tea after a stroll along the beach (which mind you is only a few steps away), a flatscreen television, a microwave and best of all… A HEATED MATTRESS!!! A must-have for when it gets chilly at night – we were in heaven! 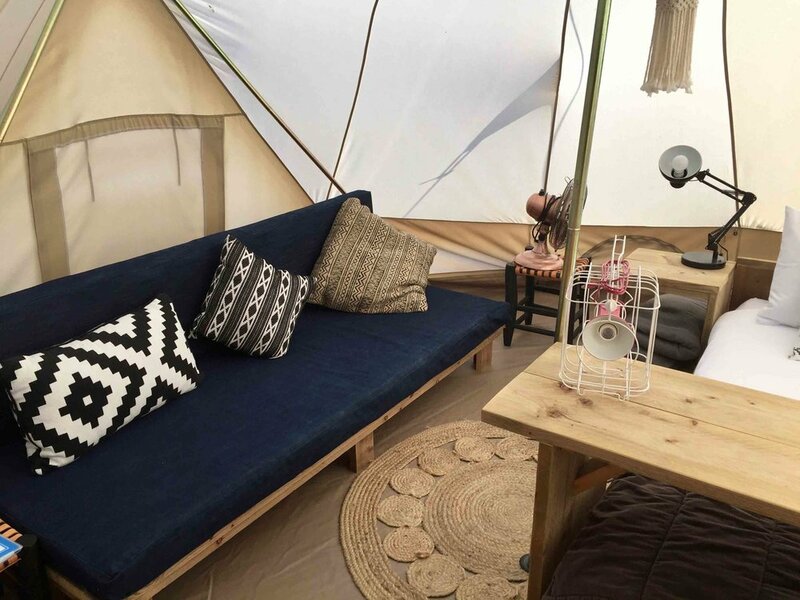 The sound of chirping birds and the rays of sunshine glistening through the tent is the most relaxing way to wake up in the morning. This was paradise. We visited the Bay of Fires then were invited to join in “happy hour” with the owners Julian, Clancy, and their friends, later that afternoon. We shared a nice bottle of Prosecco and locally smoked Tasmanian salmon, whilst exchanging stories and a couple of Dutch words!! After a night of such great company and a few laughs, we headed off into our cosy and warm Bell Tent to call it a night. Spoiled by the nature of Tasmania and the luxury and comfort of the Sanctuary we felt like this was the perfect place to end our holiday. Anyone looking to escape the realities of everyday life needs to experience this little slice of heaven – even if only for a couple of days!